Shhh! 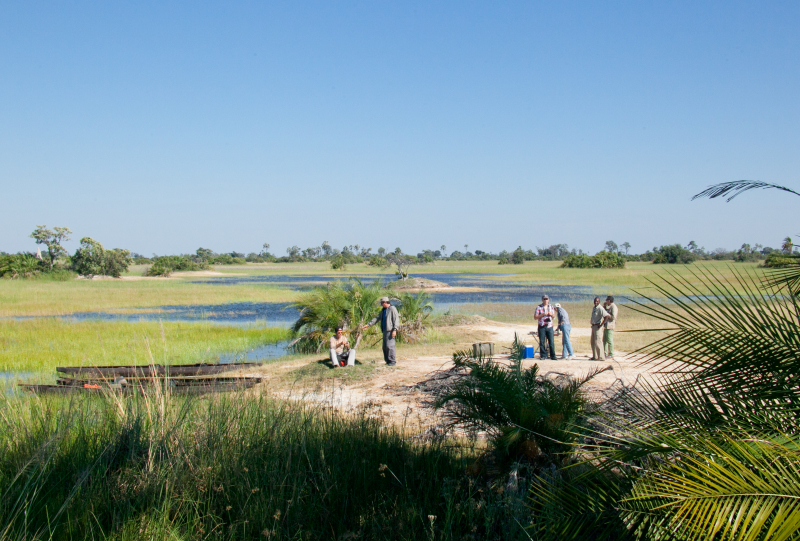 We’re letting you in on a special, restricted location in the Okavango Delta. 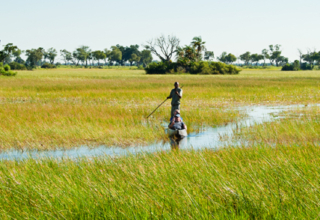 The Okavango Delta is a flourishing green space whose life-blood stems from the waterways that break away from the Okavango River as it snakes down from Angola. As the waters recede so too does the vegetation on the floodplains, causing the birds and game to trek elsewhere to find water. 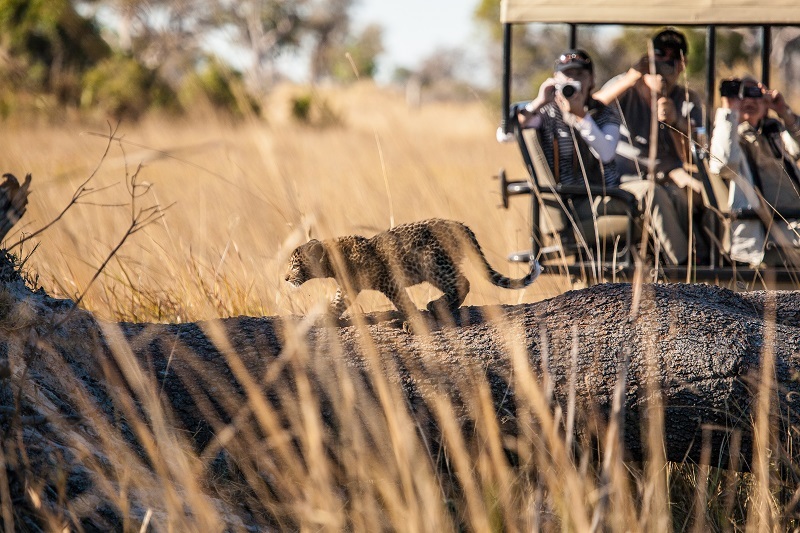 But in the southern part of the Okavango Delta, there is a small gem that stays lush for most of the year and this means great wildlife viewing ! 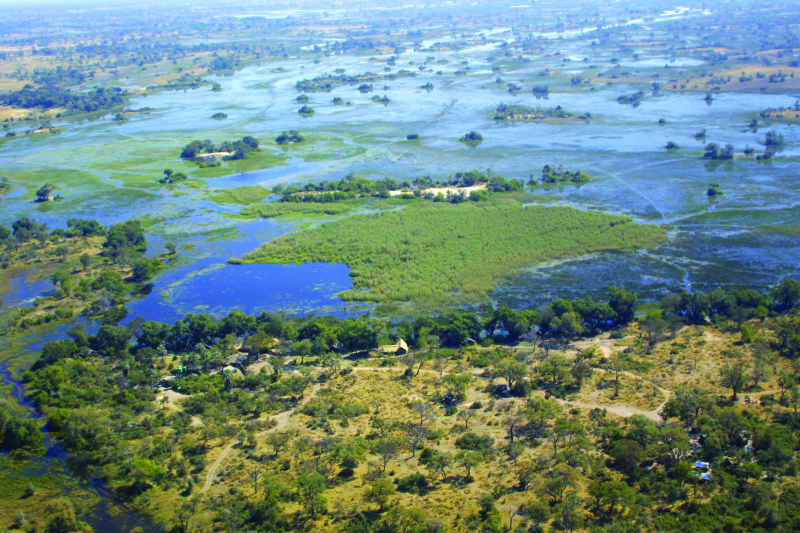 Here’s all you need to know about the Nxabega Concession and the reasons why you should visit this part of the Okavango Delta. 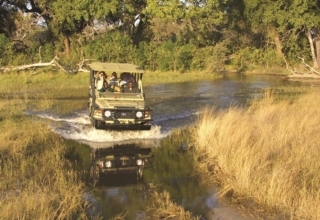 The Nxabega or NG27 Matsebe-Nxabega Concession comprises of three regions – Pom Pom, Nxabega and Kanana – and borders the southeast of the Moremi Game Reserve. 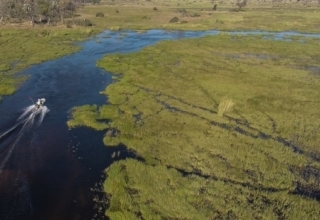 Due to the prime position in which Nxabega sits, it is one of the wettest parts of the delta and this means consistently world-class game viewing. Small islands encircle the area and are themselves scattered with palms, figs, ebony and knob thorn trees, which create a haven for diverse bird, plant and animal species. 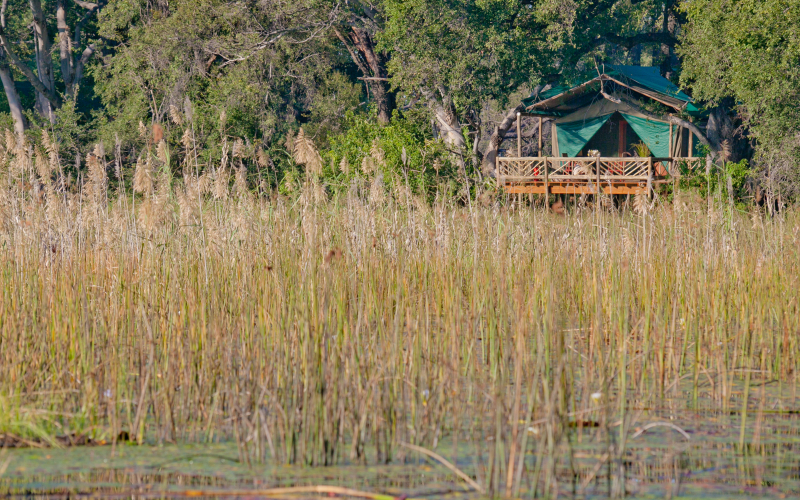 The nine luxury en-suite Meru style tents of Pom Pom Camp are nestled under the palm trees of Pom Pom Island and are an excellent base from which to explore Nxabega and the greater Okavango Delta. Exclusive: Nxabega is ‘the real deal’ for those who live, love and breathe Botswana. 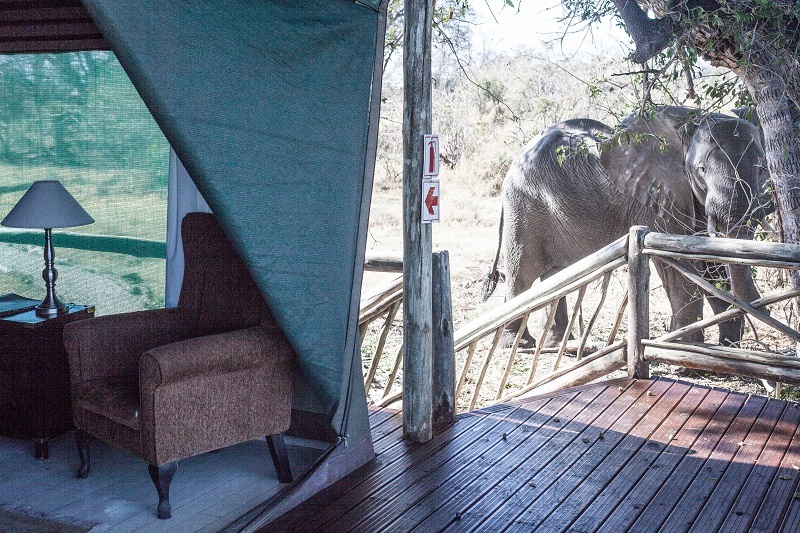 The concession covers around 400 km2 and is restricted to just 50 guests in three small camps. 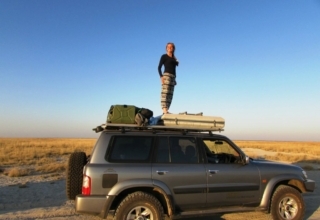 This translates to about 8 km2 per person, making it very spacious by normal delta safari standards. Remote: Nxabega can only be accessed by light aircraft (charter flight), with regular services operating between the camp and the main hub airports at Maun and Kasane. 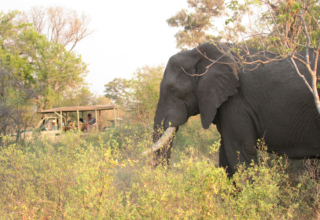 Moving out from the camp is done by mokoro and game vehicle, giving varied perspectives of this spectacular area. Wildlife-rich: The rare semi-aquatic sitatunga, Pel’s fishing owl and pangolin are all resident species of Nxabega. Other wildlife to be seen are lechwe, elephant, buffalo, leopard, hippo, lion, honey badger, hyena and wildebeest, among many others. Photogenic: Nxabega shows off in all the right ways. 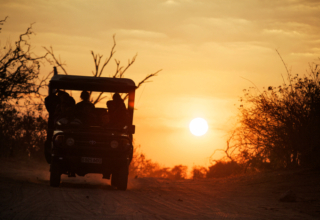 Landscape snaps at sunrise and sunset highlight the beautiful scenery and scope of the area, whilst wildlife in action make for special shots that capture the essence of a safari in Nxabega. 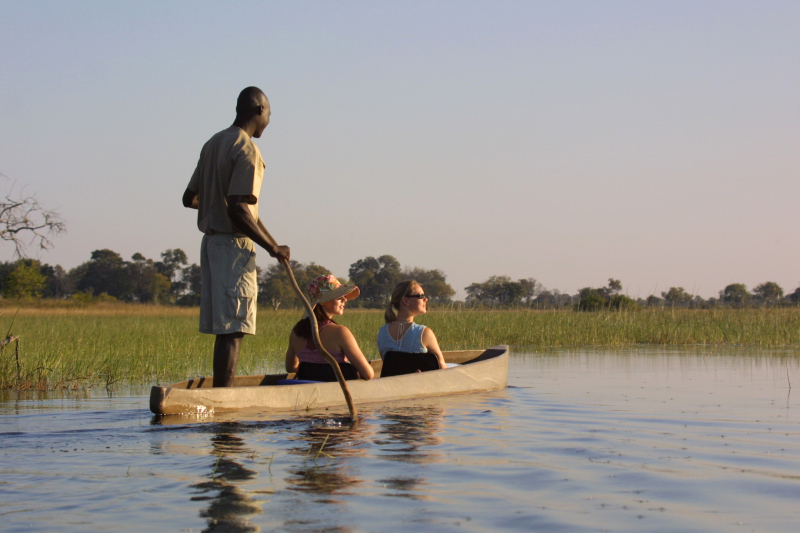 Alternate: From November to June, when other areas in the delta tend to have fewer wildlife sightings, Nxabega can become productive, which means you can go on safari whenever you choose and still have the full game-rich Okavango Delta experience. 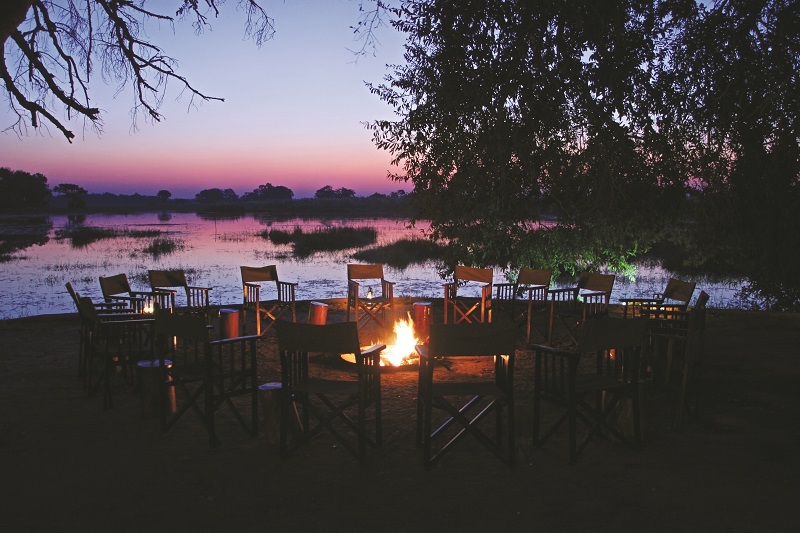 If you’re interested in visiting Botswana and not sure where to stay, contact us for a list of our safari lodges and camps found in the Okavango Delta and Chobe National Park.